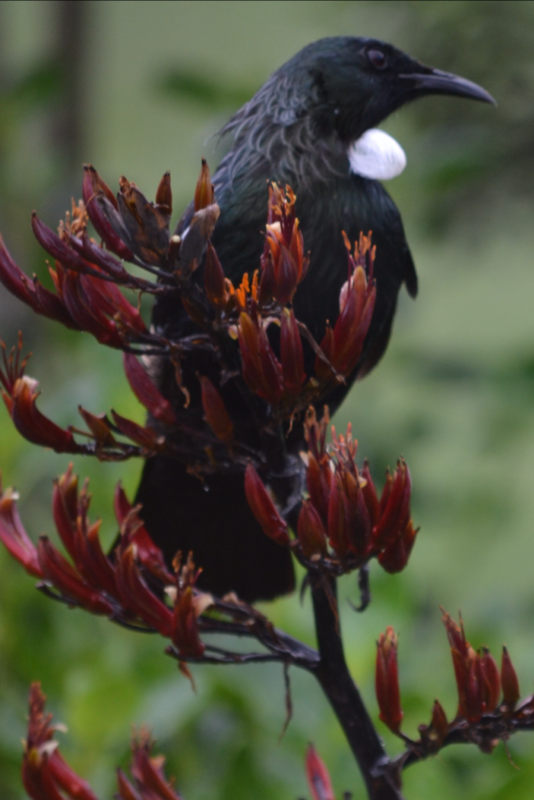 Our aim is to protect kiwi and other wildlife on the Russell Peninsula. We do this by controlling the introduced predators that kill kiwi and by improving the health of our native forests and wetlands. This work can only continue with the help of the people in the community and those who visit this beautiful place. Stoats are being controlled on over 2,000 hectares. This is vital because they can kill 95% of kiwi chicks. 220 hectares of high value habitat is being intensively controlled for rats on both private and public lands. Kiwi call counts have increased. More than forty landowners are part of the project. Two local trapping contractors have been employed. More and more volunteers are getting on board. We help set up and maintain rat control, participate in annual kiwi call counts, monitor other birds, build trap boxes and kiwi nest boxes and organise community advocacy and events. Juvenile kiwi are often seen on the cameras, showing they are surviving their first, vulnerable year. Being a peninsula is a major advantage for Russell Kiwi Protection. We are connected to the rest of Northland by only a narrow neck of land so if we can get predators numbers to low levels it will be difficult for them to reinvade. How the Job Gets Done! Without predator control stoats will kill 95% of kiwi chicks. To reduce this we have lines of traps running across the Russell Peninsula, from coast to coast, in a pattern that maximises the chance of catching stoats. Each trap is checked at least once a month by a professional trapper and all ‘catches’ are recorded so we can follow trends in pest numbers and assess the effectiveness of the project. To achieve the best results possible the traps are regularly serviced to make sure they are working correctly. 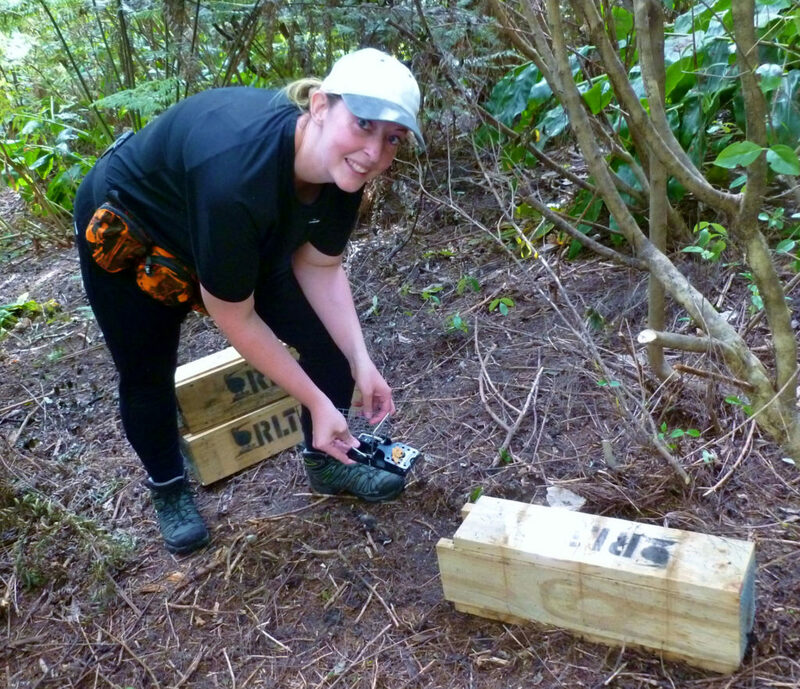 A trapper contracted to Russell Kiwi Protection checking a rat trap. The traps are in tunnels to keep out birds and other animals. Rats eat fruit, seeds, invertebrates, reptiles and small birds. To give the forest a chance and ensure there is food for kiwi, rats need to be controlled. Rat control is more labour-intensive and costly than mustelid control. This is mainly because a rat’s territory covers only about 100 meters but a stoat may range over a kilometre. So, more rat traps are needed to ensure there is a trap in each rat’s territory. Lines of rat traps or bait stations must be no more than 100m apart and at every 50m along each line. Russell Kiwi Protection has the skills and experience to help landowners plan their own rat-control program. Contact the Project Coordinator, Eion Harwood, for advice. Continue intensive predator control in our “Te Wahapu Mainland Island” and create a buffer around it to reduce incursions. Increase the kiwi population from 600 to 1,500 birds. Enable even more landowners to become involved with predator control on their properties. Continue to build our base of enthusiastic volunteers. Make Russell Peninsula “possum-free” by using the latest available technology from ZIP (Zero invasive Pests Organisation). Apply for toutouwai (North Island robins) to be translocated to the “Te Wahapu Mainland Island”. Provide safe habitats for birds that may fly across from “Project Islandsong”. 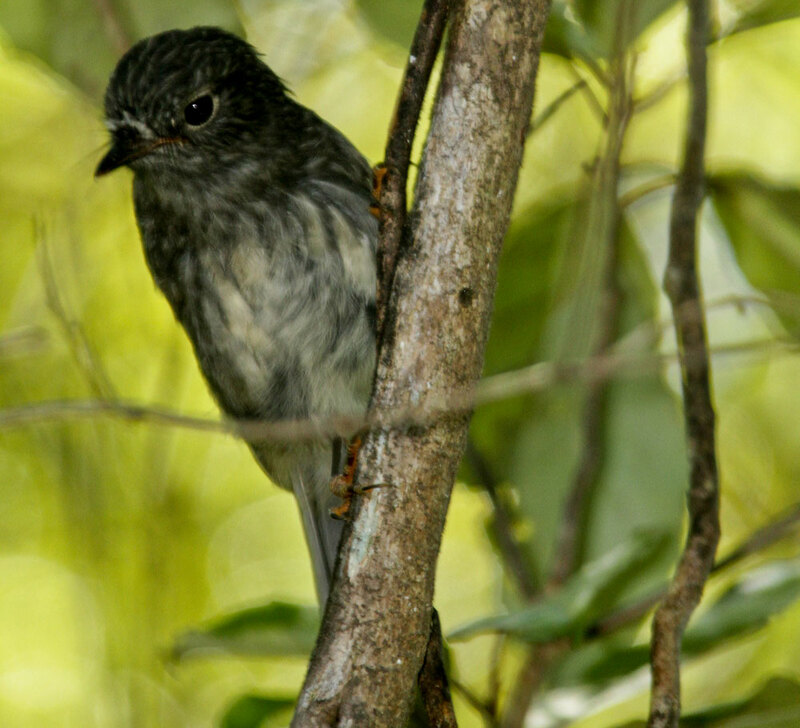 It would be wonderful if toutouwai (North Island robin) could return to Russell Peninsula. 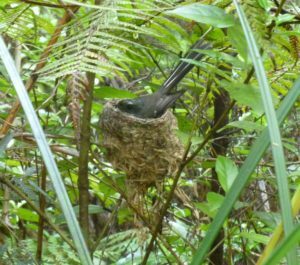 Fantail/piwakawaka are particularly vulnerable to predation when they are nesting. Our funding comes from private landowners, public donations, the Northland Regional Council, Kiwis for Kiwis, the Department of Conservation, and Foundation North. Volunteers donate their time, energy and skills.